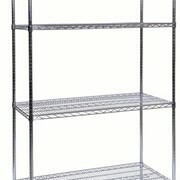 MediMesh Nickel/Chrome Wire Shelving features heavy duty wires with strengthening ribs and reinforced shelf edges. 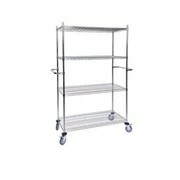 Wire mesh with a nickel/chrome finish (available in stainless steel as well). 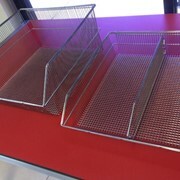 Dust and dirt free displays. 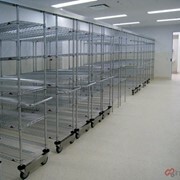 No piles of dust hidden under the shelves. 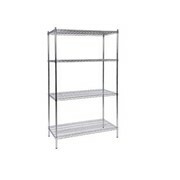 Conical metal collars allow the height of the shelves to be easily adjusted. 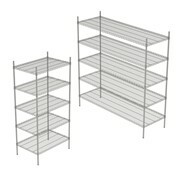 The shelves slide down the upright posts and over the plastic shelf. Clips to lock the shelves into position.